ProXPN announced yesterday that the Mexican government is proposing a law that will limit government transparency. 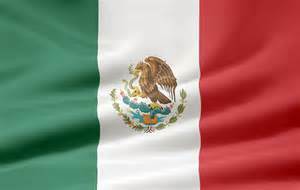 Mexico has been known for their transparency laws, which are the most advanced in the world. But they are now in danger of being changed. The Mexican Congress has already voted in favor of the changes, and the Senate vote will determine whether or not the law will be passed. Limiting government transparency means that there will also be a limit placed on what information the Mexican people will be able to access. The amendment to the law was proposed by the governing Partido Revolucionario Institucional (PRI). They aim to take some decision making powers away from the Mexican Federal Institute of Access to Information (IFAI). The amendment pertains to matters of security, economic stability and human rights. In short, if anyone petitions for information about one of these subjects, the government can protest and take it to the Mexican Supreme Court. The opposing party argued that this proposed amendment is in conflict with a key promise made by President Enrique Peña Nieto that he would guarantee full transparency of government. They were also against the underhanded way in which the amendments were presented. They were meant to make the IFAI more transparent. In addition, Mexican NGO México Infórmate complained that the public was not consulted, and the proposal was drafted in a secretive manner. One activist with Artículo 19 said that this amendment if passes constituted an attack on civil rights, particularly access to information. Agreeing with México Infórmate, she claimed the proposal was vague and could limit access to information that did not actually affect national security but that was of great importance to the defense of human rights. The IFAI defended the amendment, stating that the motivation of the government is to guarantee better handling of sensitive matters like national security. At the same times, doubts were expressed about whether or not it would affect the functioning of the Institute. ProXPN has been very vocal about its stand on the freedom of information, and lends its support to the Mexican people as they face these restrictions. They encourage Mexican nationals and others worldwide to embrace proXPN VPN technology to help them open access and browse anonymously. For details on proXPN offerings, visit our VPN provider page.